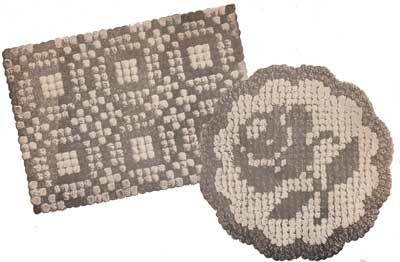 This booklet contains the five pom-pom and tufted rug patterns shown here, plus a toilet seat cover. 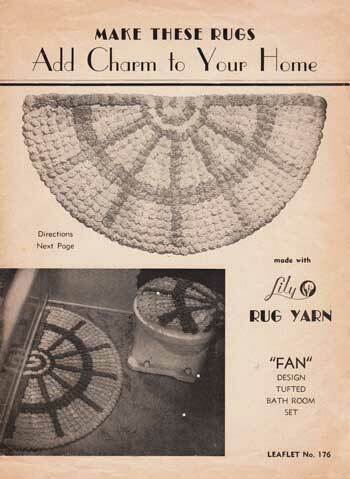 It contains full instructions on using the Lily Pom and Tuft form from 1941. You can also use a 1¼ – 1½ inch pom-pom maker if desired but the Lily forms are still quite easy to find. The yarn used in this booklet is worsted weight, 4 ply cotton. You will need to enlarge the patterns so they match the dimensions mentioned.